Of Rare Origin "Lady Luck" pendant necklace. 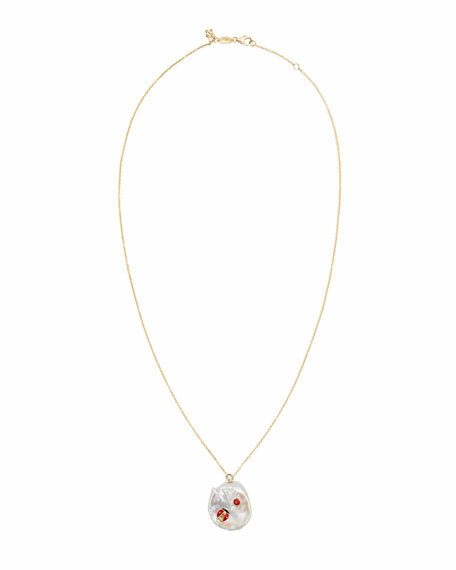 Pearlescent charm pendant embellished with an enamel ladybug motif, red sapphire, and a diamond. For in-store inquiries, use sku #2490500.